New support for cool new projects. Spring Boot and Kotlin with proper Intellisense. 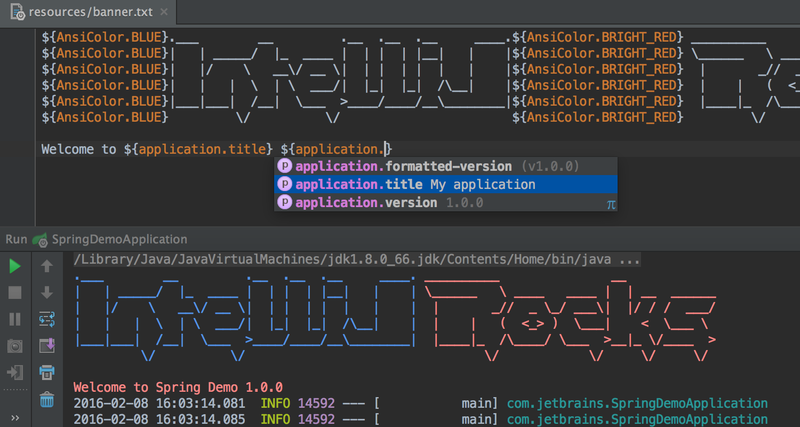 A new IntelliJ IDEA 16 EAP build is now available for download. Take a look at the release notes to see which bugfixes are included. Those who work with Spring Boot projects should give this build a try because we’ve added a number of improvements in this area, including better coding assistance. Now you can find usages of your custom configuration properties in your application configuration files and additional metadata files. To do that, click the gutter icon (equal to Navigate → Related Symbol) or simply call Show Usages via Alt+Ctrl+F7 (Alt+Cmd+F7 for OS X). Code completion and error highlighting for configuration values now works in YAML configuration files as well. Various issues with key completion have been fixed. @SpringApplicationConfiguration is now correctly detected in test context setups. Stay tuned to our blog because soon there we’ll be publishing news about new features in Spring and Spring MVC support. 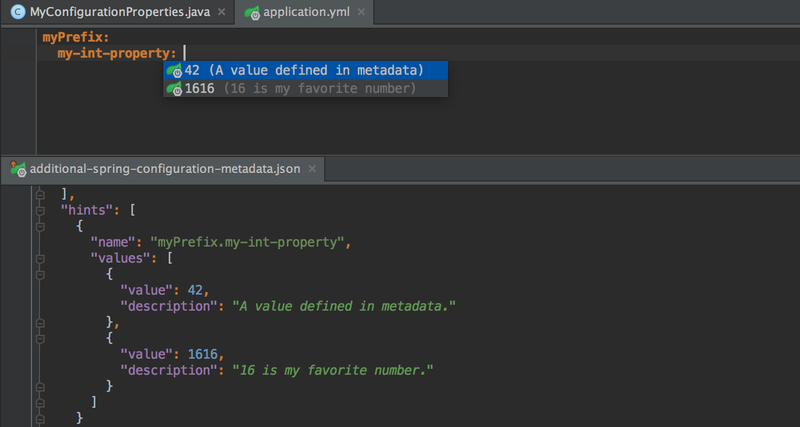 In other news, Kotlin ships its first public RC build, which is now a part of IntelliJ IDEA 16 EAP. More details, including the list of changes since Beta 4 can be found in the release announcement. Don’t forget to write us back in our EAP discussion forum, as well as report bugs directly to the issue tracker. We really appreciate that. Published at DZone with permission of Andrey Cheptcov , DZone MVB. See the original article here.